Star Instruments Synare 2 Drum Synth with step sequencer. 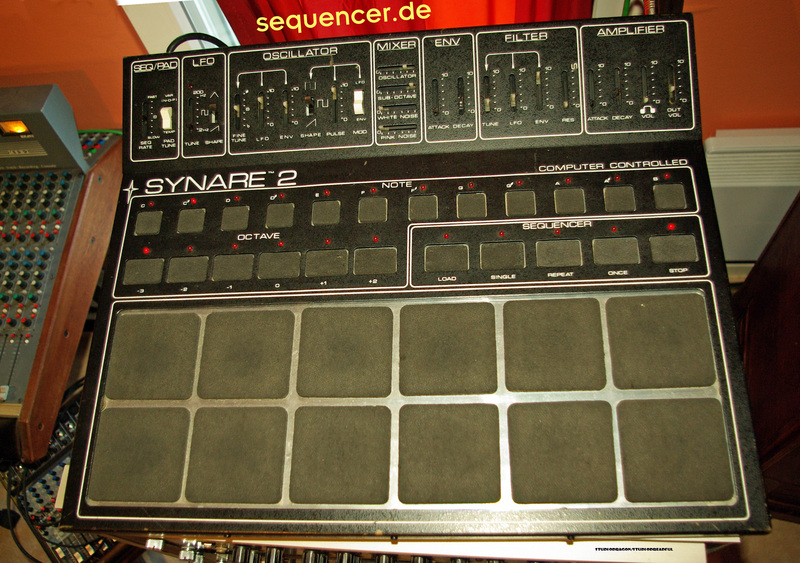 is new to the SynthDatabase, it is quite uncommon and rare as hell. it has pads, it has tonal keys and even pulse width modulation incl. a sub oscillator along with 2 noise colours (white and pink), so it is in fact a lot like a bass synth with sequencer rather than „just a drum synth“. a big piiiouuu to all, this is from 1976! One Blue Monkey NAMM 2006 report..
Roland 100m – DIY m185 Sequencer from Ryk almost ready..
What Axel Hartmann designed to date..